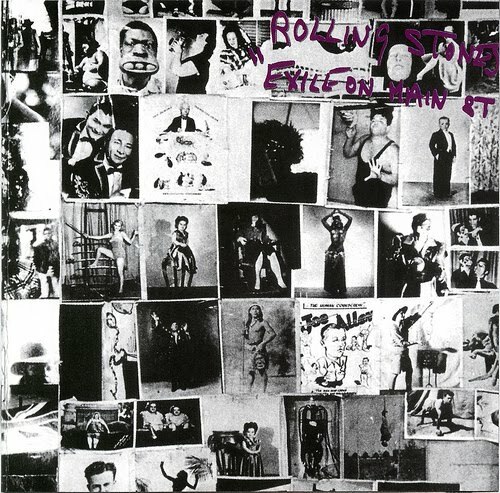 There's so much hoo-hah surrounding the reissue of The Rolling Stones' 1972 album Exile On Main Street, it seems like as good time as any to select five favourite Stones' covers that have intrigued over the years. 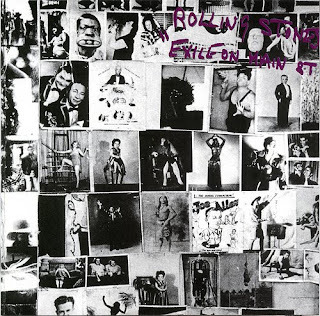 This is not an all-time top five (which would include 'Satisfaction' by Otis Redding, 'As Tears Go By' by Marianne Faithfull and the is-it-a-cover-or-did-they-cover-it 'Wild Horses' by Gram Parsons) nor is it the five craziest covers (coz that would include Jimmy & The Boys' 'Get Off My Cloud'). It's just five randomly selected covers that came to mind and have brought some dance-around-the-lounge-joy at some time or other. 1988 Slovenian industrial cover of the 1968 track lifted from Beggar's Banquet and it's recording session was central to Jean Luc Godard's French student revolution film of the same name. 1980 British female punk outfit's reworking of the 1966 Aftermath song. Scottish indie rock band who, after the summer of house, went baggy on the 1965, fittingly from Out Of Our Heads. In 1968, this psychedelic soul band from Chicago (featuring Minnie Ripperton) got crazed on their cover of the song released a year earlier. The iconic US new wavers bent this 1965 hit out of shape in 1977.